Here’s to giving a classy vibe to your picnic. 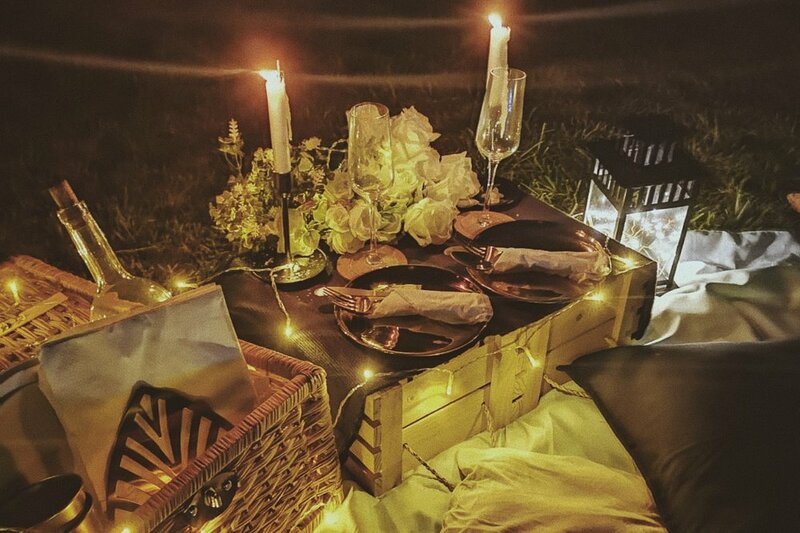 This gold setting makes your dates look more luxurious outdoors. A perfect layout to catch the sunset with your partner and catch the golden hour for photo taking too! Huge number of pax? Bridal showers are perfect for this one.